As most of my blog followers already know: last year I got married and moved, with my new husband, to the campagna (countryside) in the Valle d’Itria (Itrian Valley) close to Ostuni in Puglia. Our home is on top of a hill and we have a 360 degree view of this beautiful part of Italy from our roof terrace. 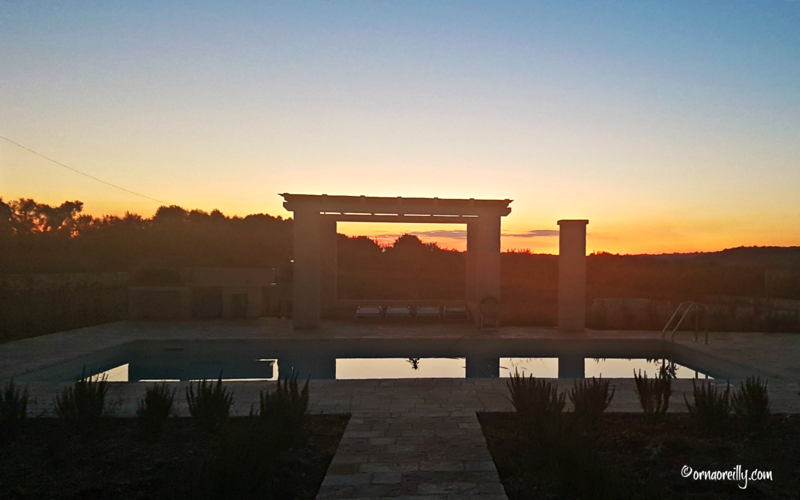 We have spent many busy months planting olive and fruit trees on our bare slice of Pugliese soil, hoping to see results in a very few years, with a bit of luck. 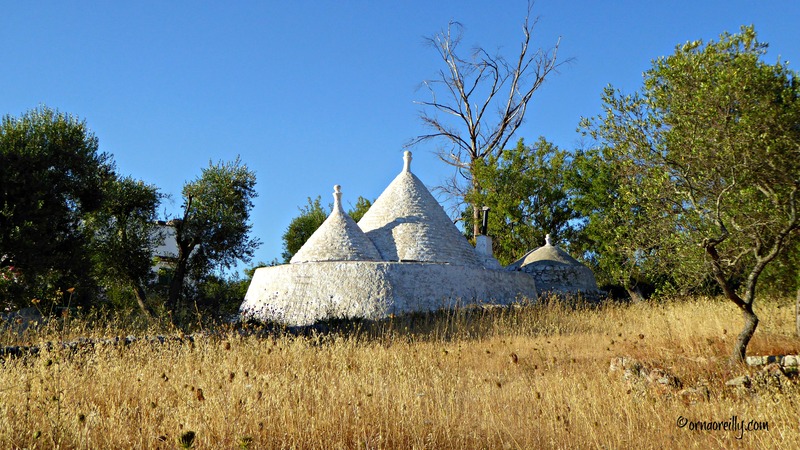 Because Tom (aka The Palladian Traveler) and I are both keen walkers, this was a perfect plan, as the campagna around our new home is a maze of laneways through olive groves where pretty trulli can be seen poking their cone-shaped heads from amongst the foliage. Now it is summer and we have been living here for nine whole months. During that time we have experienced a little snow and many cold winds in the form of the Tramontana, which blasts down the east coast of Italy from the Alps in winter. On the other hand, there have been balmy November days when a T-shirt was all was required. Walking in our neighbourhood is always interesting: a converted church; a pretty house dwarfed by a Mediterranean pine and just the view in general over the valley is stunning. Now that July has arrived we are experiencing weather so hot that, in order to maintain our morning walk routine, we must leave the house at 06.00, as by 08.00 it is too hot to do anything other than cool off in the pool; which is, of course, the first thing I do upon my return. I have always found that photographs taken early in the morning are sharp and fresh, so I usually pack a camera and away we go, walking poles at the ready. 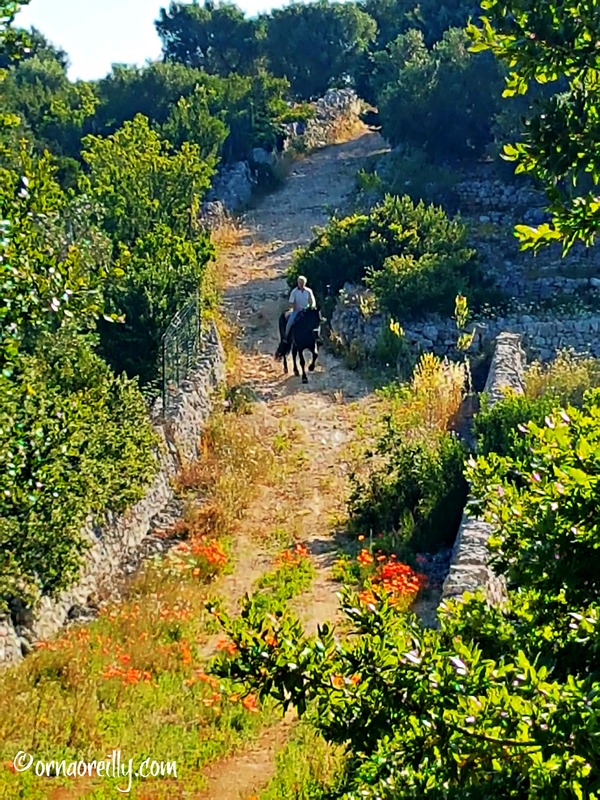 On one sunny morning recently, as I was about to climb yet another steep hill, I looked up and saw a horse approaching. That was the first time I had seen a horse while out walking, so I asked the gentleman if I could take his photo when he drew alongside. 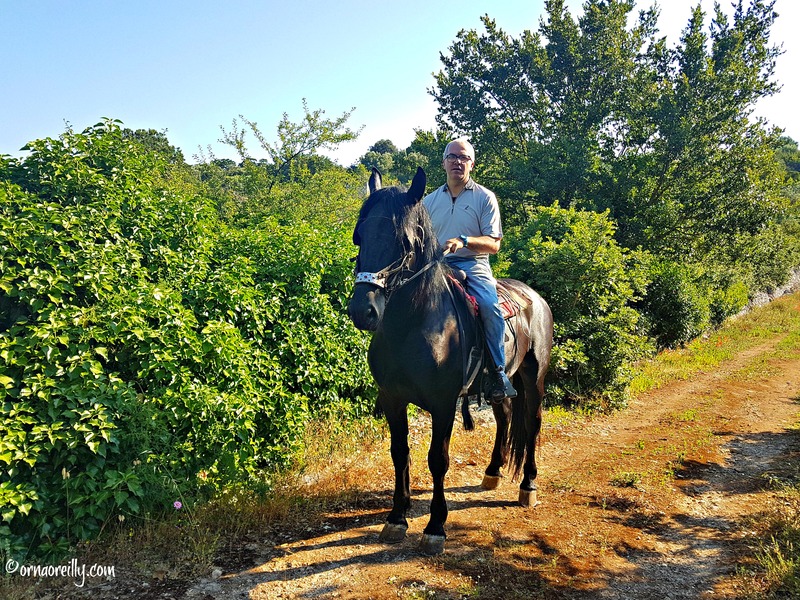 He was delighted to have his photo taken and told me that his horse is a Murgese breed from the Murge, here in Puglia. On other mornings we stroll past fields where the hay has been cut to form large round bales used for animal feed. But it is mostly the rich summer bounty that strikes me: quite apart from the budding olives, there are almonds, grapes and figs hanging over every wall and in every farm and garden we pass. …..and blossoms were fragrant in the sunshine. 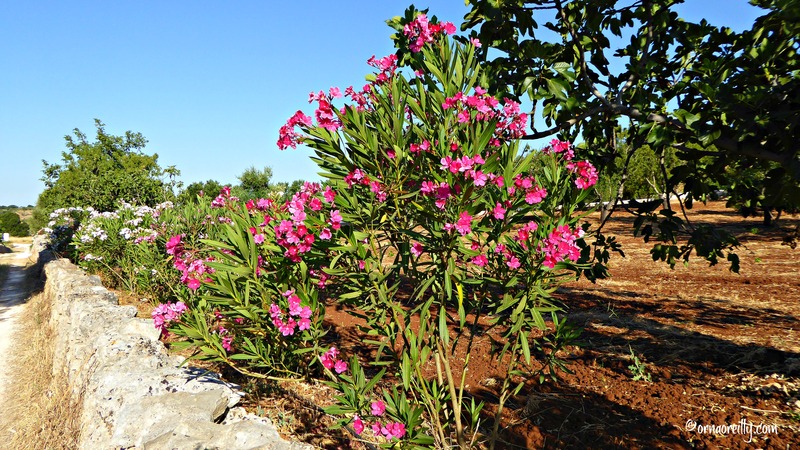 Now the lane-ways are lined with colourful Oleander in various shades ranging from deepest pink to white. Spectacular! Having had such an early start, I do hope you have enjoyed your crack-of-dawn walk with Tom and me through the quiet campagna which forms our small slice of Puglia. 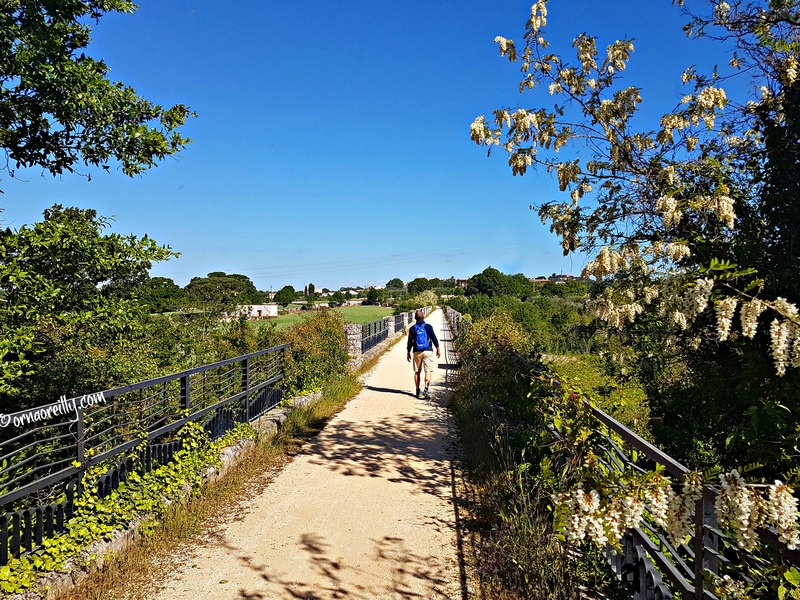 Orna — Nice pictorial journal of your, and sometimes our, walks through the scenic Valle d’Itria. Up and at ’em tomorrow at first light? 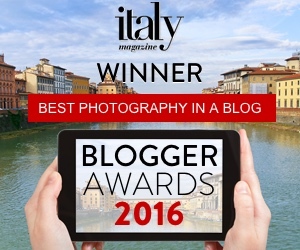 Stunning photos of such a beautiful part of Italy. You have such a lovely home! I was lucky to have experienced a little bit of that area last October with Victoria and it was unforgettable. What a beautiful area the two of you chose! I can imagine how wonderful the pool feels after a walk. I love going out early for my walks. It’s so quiet and peaceful (or as quiet as it gets in a Chicago suburb where traffic noise is always in the background), and I also enjoy being the only one or one of only a few people in the park at that time. Love that horse. What a beauty!! Thanks for letting me tag along on the walk and I look forward to more walks and seeing more of your area…or wherever the two of you travel. I’m almost always up by 6 am, at least in the summer, so it’s great to be out and about. Thank you for taking us with you. Beautiful pictures. Loved seeing your wonderful photos! Beautiful countryside and photos – and one really nice pool. Such a fabulous post. I am a fellow walker & I’m very interested in the Tratturi that go from Abruzzo, through Molise and into APuglia. Please let me know if you have already walked one of these and how you found it or if you have any contacts regarding this. All those little laneways are called tratturi in the local dialect. I referred to them as laneways/farm tracks as I didn’t want to cause confusion. 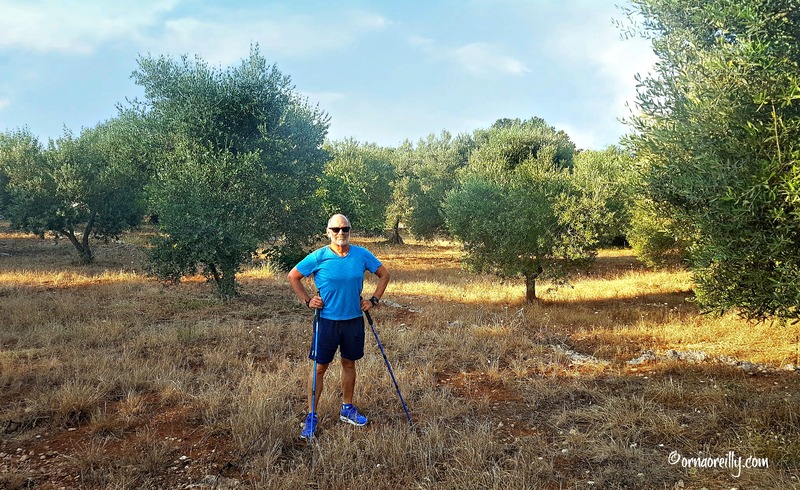 They are all over the countryside, running along beside the olive groves. So glad I have found your blog. I love your descriptions and being a photography buff I enjoy all of the great photos you share! I look forward to living a little vicariously through your sharing! So beautiful! 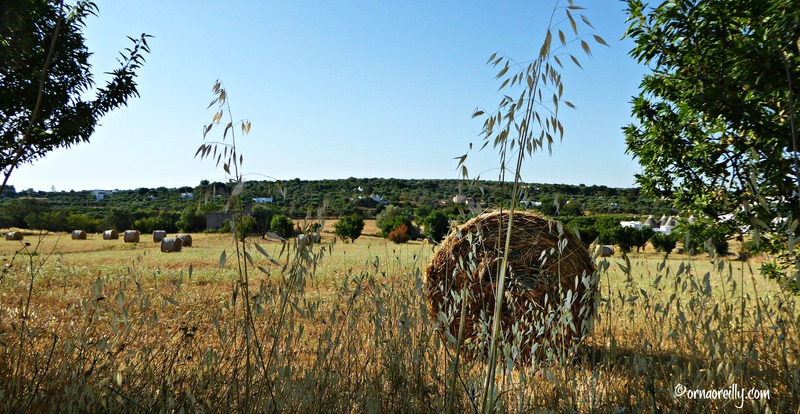 i was just in Puglia for a week in June and fell in love with the countryside!